Rara Lake and Khaptad National Park are one of the most famous trekking destinations which provide you an opportunity to admire the serenity and natural beauty of a far and mid-western part of Nepal. It is one of the best and wonderful trek to explore Rara Lake, an idyllic place. This amazing Rara Lake is filled with astounding clear water surrounded by the protected forests, makes this Lake a natural paradise. Rara lake to Khaptad trek provides you an opportunity to visit two famous trekking destination and experience the wilderness along with exploring virgin natural beauties of Nepal. This trek is one of the best choices to explore the spiritual significance and important pilgrimage site; The Rara Lake and Khaptad National Park. This astounding trek offers us the beautiful sunset views, wonderful greenery valley, terraces landscapes, Ashram of Khaptad Baba with the various temples of Hindu Gods. It is amazing to view the reflection of stars and moon on the Rara Lake at the night. The way to the Rara Lake and Khaptad let you have peaceful trek on the unbeaten trail through dense forest, river and various settlements. Beside Rara Lake, Khaptad also offers you a variety of landscapes, moorlands, rolling green hill, steep slopes, beautiful rhododendron, oak and pine forests, and streams. Khaptad National Park, a hidden gem in far west Nepal has been protected 567 species of flora including 23 species of mammals and 287 types of bird’s species and various fauna. You can witness mammal species such as; Himalayan black bear, Leopard, wild dog and musk deer and bird’s species include, the white-rumped vulture, the beautiful Impeyan pheasant (Nepal’s national bird), Peregrin falcon and many types of partridges, flycatchers, bulbuls, cuckoos, and eagles. The peak of Khaptad also offers us a magnificent view of the API and Sapal Himalayan range. This amazing trail begins from Kathmandu with a scenic flight to Nepalgunj. After Nepalgunj, you will take a connecting flight to Talcha airport and you will begin our official trail from Talcha Airport to Rara Lake. Around 3 hours trek takes you to an idyllic place. You will explore the beautiful Rara Lake and heads towards Khaptad National Park. As you explore this wilderness of Khaptad National Park then you will be returned back to Dhangadi and Dhangadi to Kathmandu by Air flight. Day 05: Explore Rara Lake. Visit Murma Top, take a walk around the lake (13km) or explore some of the viewpoints. 567 flora and fauna including 23 mammals, 287 birds, and 23 amphibians and reptiles. As soon you arrive in Kathmandu, a representative will pick you up and transfer you to a hotel. We’ll discuss the trek late in the evening. Overnight at the hotel. Early in the morning, after breakfast, we’ll visit some religious and historical places in Kathmandu Valley. We will begin our sightseeing tour within Kathmandu, observing the UNESCO World Heritage Sites such as; Hanuman Dhoka Square, Pashupatinath Temple, and Swoyambhunath and so on if time permits. Pashupatinath Temple is the most sacred site for Hindus that is situated on the bank of Bagmati River and is known as the principal temple of Lord Shiva. Soyambhunath Temple is also known as the Monkey Temple that owns a large number of monkey populations in the area. We will have a brief discussion about the trek in the evening. Overnight in the same hotel. Today, after early breakfast, we will take an air-flight from Kathmandu to Nepalgunj. Around 40 minutes scenic flight takes you to beautiful city Nepalgunj, near a border side of India. In the evening, you will stroll around and visit a lively market of Nepalgunj along with native settlements. You will stay overnight at Nepalgunj. In this day, after morning breakfast, we will take air flight from Nepalgunj to Talcha. 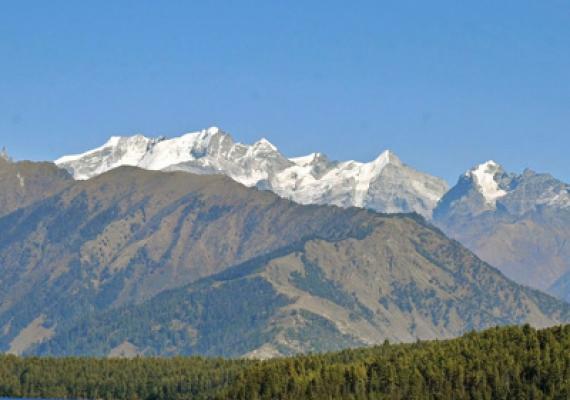 As you reach Talch airport, then you will take a private Jeep and drive towards Rara Lake. Around 3 hours drive takes you to the Rara Lake. Overnight at Rara Lake Camp. Day 5 : Explore Rara Lake. Visit Murma Top, take a walk around the lake (13km) or explore some of the viewpoints. Today, early in the morning after having breakfast, you can explore the Rara Lake, the largest Lake in Nepal. This beautiful Lake has a deep freshwater and situated at the altitude of 2990m. The surface of this amazing Rara Lake is around 8 square Kilometer which is also considered as a unique spot in Nepal. The Lake is situated in the National Park which offers you to visit different flora and fauna such as; various bird species, rhododendron flowers, wildlife; Himalayan bears, Red Panda and musk deer and so on. You can also have an experience of remoteness and a wilderness in the Rara Lake. As you explore the Rara Lake, and then you will trek towards Murma Top from where you can have a splendid view of the area lake and mountains. Finally, you will return back to Lake and stay overnight at Rara Lake. Next morning, after breakfast, we will continue our trail Sirkot, which is situated at an elevation of 2041m. Around 6-hour trek will offer you to enjoy the nature and explore the place. Overnight at Sirkot. Today, after morning breakfast, we will head towards Jholunge Pul from Sirkot. It required around 7 hours walk to reach Jholunge Khola, which is situated at the elevation of 1400m. Overnight Jholunge Pul. In this day, after morning breakfast, we will continue our trail towards Kolti, which is situated at the altitude of 1390m. Around 7 hours genital trek offers you a different native settlement to encounter with and observe their unique culture and traditions. Overnight at Kolti. Next morning, after breakfast, we will leave Kolti and heads towards Martadi, which is situated at the elevations of 1591m. Today we need to have a long trek, it takes around 10 hours to reach Martadi. Overnight at Martadi. As morning rises, we will have a breakfast and makes our trail towards Dogadi, which is situated at the summit of 1490m. Today’s trail will be slightly down towards Dogadi. Around 6 hours trail will lead us to the Dogadi and stay overnight at Dogadi. In this day, after morning breakfast, we will find out our destination. We will leave Dogadi and heads towards Khaptad Camp Site, situated at an elevation of 3020m. Today we need to make around 8 to 9 hours up the trail towards Khaptad Campsite. Overnight at Khaptad Camp Site. Today, after early breakfast, we can explore the Khaptad National Park. We will visit Khaptad Museum and trek towards Khaptad Danda and visit Patan and Tower. You can experience extraordinary eco-system with a huge variety of Vegetation ranging from the sub-tropical forest. Khaptad National Park has recorded more than 224 species of medicinal herbs and 270 species of birds and various mammal’s species. The National Park is rich in various flora and fauna which offers you to encounter with various wildlife and discovers various plants. After you explore the National Park, you will walk around 2 hours to reach Khaptad Baba’s Ashram and Triveni. There you will meet with Khaptad baba and learn religious and social philosophical discourse from Baba. Overnight at Camp. As morning rises, we will have a breakfast and continue our trail towards Bajhang. The way to Bajhang, you need to walk around 9 hours through the beautiful forest and various settlements. Then you will reach to Bajhang and explore the Banjhang. Overnight at Bajhang. In this day, after morning breakfast, we will end our trek and heads towards Dhangadhi. Around 9 hours walk will take you to the Dhangadi, a village development committee in Siraha District in the Sagarmatha Zone of south-eastern Nepal. Overnight at Dhangadhi hotel. 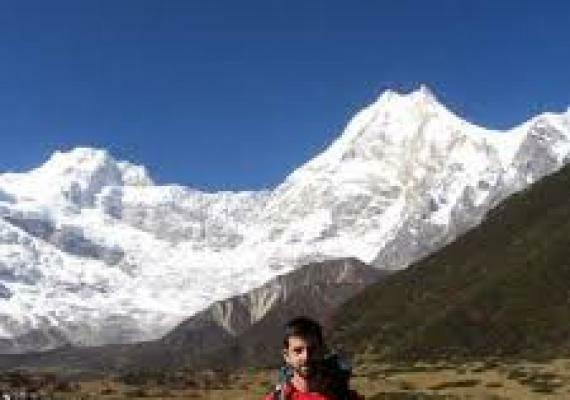 In this day, you will end your trek and return back to Dnangadi and then to Kathmandu. Around 1-hour air flight for Kathmandu will once offer you stunning mountains vistas and some lively settlements. When you reach Kathmandu airport then you will be taken to the same Hotel by our representative. Stay overnight at the hotel. Today you will rest and recall all the memories which you were captured in your cameras. Today you can do some shopping in the vibrant Thamel market and in the evening, you can enjoy farewell dinner in the Nepali restaurant which represent typical Nepal culture. Then overnight you will stay in the same hotel. This is the time to say goodbye and your final departure. Where you will leave all the beautiful moments and natural scenarios of the tour. Our representative will help you to find your final destination.  Hotel in Nepalgunj with Breakfast. 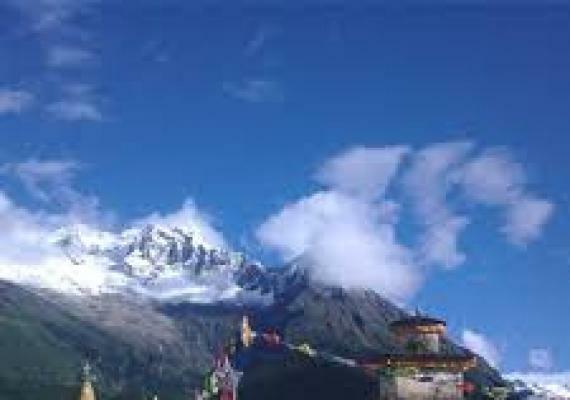 	Guide/ Porter/ Other supporting Staff during the trek and necessary Equipment Insurance and ground transport for Staff. 	Air Fare from Kathmandu - Nepalgunj, Nepalgunj - Talcha and Dhangadhi - Kathmandu. 	Special permit for Mugu.